Right now, you and everything in the room where you are, is getting pulled down by gravity. If you don’t believe it, push a book of your desk. It will go plummeting toward the center of the Earth. It’s gravity. The Earth’s mass, the stuff it’s made of, creates gravity. It’s pulling down on you and every other object you can see; it’s even pulling down on the air and the ocean. Not only that, you and every atom of every thing around you has gravity. So, the objects and atoms are all, ever so slightly, pulling up on the Earth! Without gravity, there would be no weight. When you step on a bathroom scale, the scale is getting squeezed between you and the Earth. The scale measures how strong this mutual attraction is. Gravity makes a force that pulls objects together. Not only is gravity pulling on every atom and molecule of everything around us, it pulls over huge, gigantic distances. The planets are held in the orbits around the Sun by gravity. The Sun’s mass and the mass of the Earth create enough gravity to hold us in orbit, even though we’re 150 million kilometers away. The gravity for the Earth, all the other planets in our Solar System, and all the stars and galaxies in the Universe has been pulling steadily for billions of years. Since gravity only pulls, and since gravity pulls on every speck of matter, when there’s enough matter in one place like a planet or moon, gravity makes them form into a ball or sphere. The reason the Earth, the Moon, the Sun, Jupiter, Neptune, and Pluto are all round is that their own gravity pulls evenly in all directions at once. 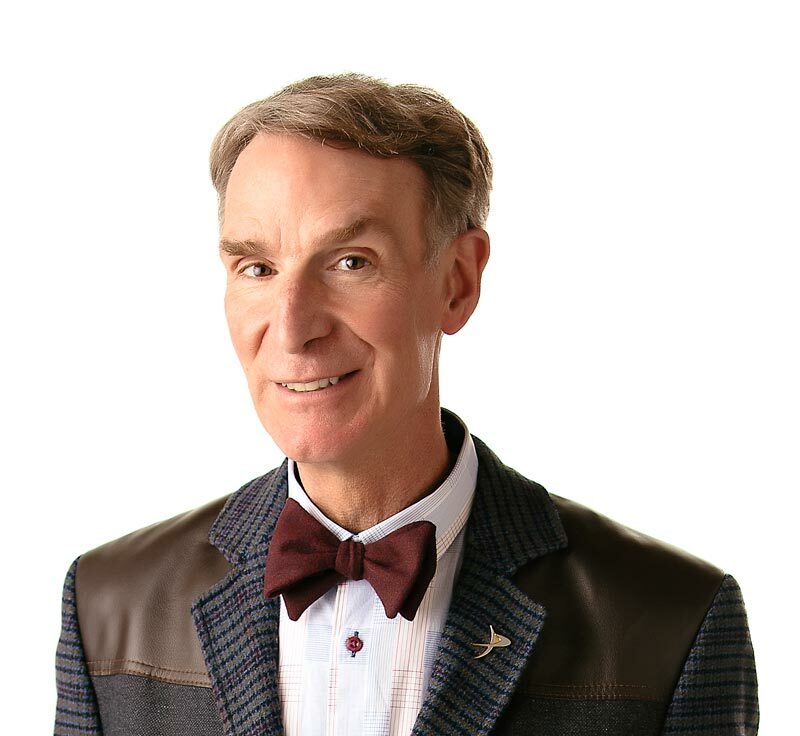 Bill Nye pulls you into this show… with Gravity! The Earth's gravity makes things have weight. Gravity holds the Earth and other planets in orbit around the Sun. Gravity makes the Earth, the Sun, and all the other planets round like a ball (spherical). Gravity makes clusters of stars orbit quadrillions of kilometers apart for billions of years? There’s gravity in space, but if you stood on scale there you’d be weightless; there’d be nothing for the scale to rest on? Spacecraft can use the gravity of distant planets to help pull them through space? “Janice VanCleave’s Gravity”by Janice VanCleavePublished by John Wiley and Sons, 1993. “The Science Book of Gravity”by Neil ArdleyPublished by Gulliver Books, 1992.